Two reports of Citroen Grand Picasso suspension spheres received today are merely the latest manifestation of a severe crisis for owners. Apparently 1,500 are now on 'back order', which could mean as many as 750 C4 Grand Picassos off the road until June when supplies are expected to arrive. The problem first came to our attention in March 2011 when there was a 6 week wait for replacements. Since then, sphere failures and warranty replacement has been sporadic. We received a further report in June 2012. Another in February 2013. Then today, two separate reports in rapid succession, with the information that 1,500 spheres werwe on back order until June. Citroen now assures us the good news is that supply has been restored and Citroen working as hard as it can to get the parts to its customers as soon as they arrive. Any customer who needs advice on their order for these parts can call Citroen on 0844 463 3500 and Citroen will do its very best to help and assist. 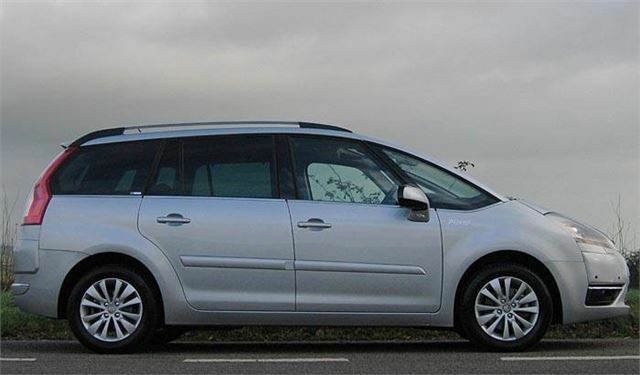 Citroen says it only affects C4 Picasso Exclusive 7 seat models with the pneumatic rear springs, and the company is dealing with 180 customer requests for parts through customer services at Citroen . Hopefully additional parts production will solve the back log soon. Hopefully it has nothing to do with the belgian market. Does the 1.6 diesel basic model also have the suspension problem? I am thinking in buying recently but now hesitating with this break news. Could you kindly give some advises? Cheers!